Stephen Hawking, the world-famous physicist who died earlier this year, has left behind ten puzzles. One of these has now been published. It looks like a cryptogram. Although this is not a physics blog, my readers are certainly familiar with Stephen Hawking (1942-2018). 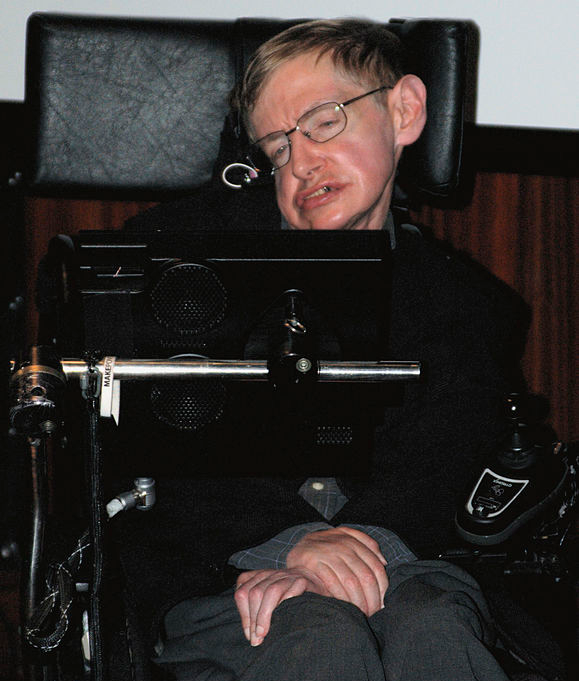 Though Hawking never won the Noble Prize, he was the most famous physicist of his time. He also was a successful author of popular scientifc books, in which he discussed his own theories and physics in general. 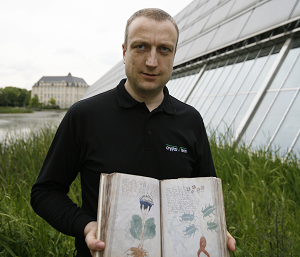 His book A Brief History of Time was a world-wide bestseller. As far as I know, Stephen Hawking never occupied himself with cryptology. Anyway, he was recently mentioned by Mark Romo in the Cryptograms & Classical Ciphers FaceBook group. 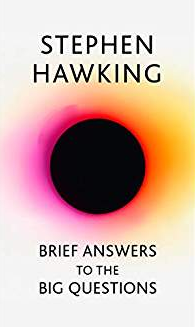 Apparently, before his death, Hawking finished another popular-scientific book. It is named Brief Answers to The Big Questions. 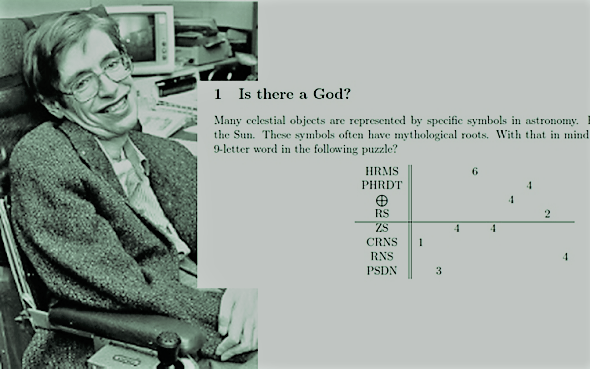 The puzzle is headlined “Is there a God?”. I’m afraid, the solution will not really answer this question. Anyway, it might be interesting to find it. To solve the puzzle, one needs to find a nine-letter word. I don’t know, if this word is encrypted or if it is included in the diagram in some other way. At least, the left column looks like an encrypted text. Can a reader solve this puzzle? Edited to add: The puzzles were not created by Hawking himself but by Josh Kirklin. This could be a reference to planets in our solar system. The left column appears to be Greek deities without their vowels: Hermes, Aphrodite, Ares, Zeus, Cronos, Uranus, Poseidon, with the symbol for Earth in between. Taking their n-th letter according to the numbers directly doesn’t lead to a proper word, though – only consonants. Must be some other way. And does that horizontal line mean something? Taking the n-th letter of the names of the planets. If you take the names of the planets in our solar system you get: Hermes = Mercury, Aphrodite = Venus, Earth, Aries = Mars, Zeus = Jupiter, Cronos = Saturn, Uranus, Poseidon = Neptune. Now you can take the given letter of every planet in the given order. Uranus was a Greek name. To solve this easy puzzle you have to use their Latin equivalents, so Uranus=Caelus and the solution is SPIRITUAL. Let me be clearer: take the n-th letter of the Latin name of the Greek god (is there one?) written without vowels on the left column. If there is a symbol, use the English name. Thanks to all! This should be the correct solution.